Fernando Guibert Generations is an exhibition of two Argentine artists, Fernando Guibert and Fernando D Guibert, father and son respectively. The show spans two generations of expressive oil paintings, watercolours, drawings and prints, some of which have never been exhibited in Great Britain before. 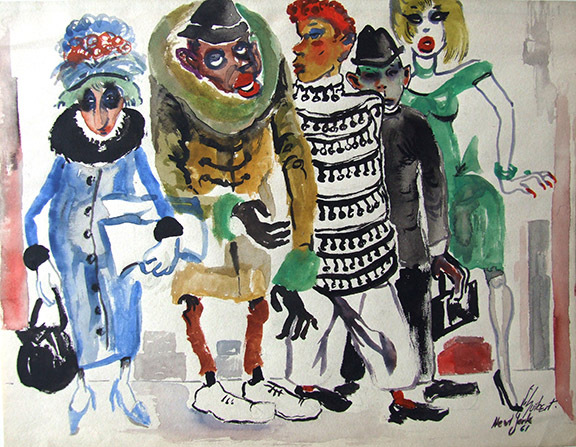 Fernando Guibert was born in 1912 in Buenos Aires, Argentina, where he died in 1983. Buenos Aires and its cultural identity was the conceptual axis of his body of work, as a writer and a visual artist. 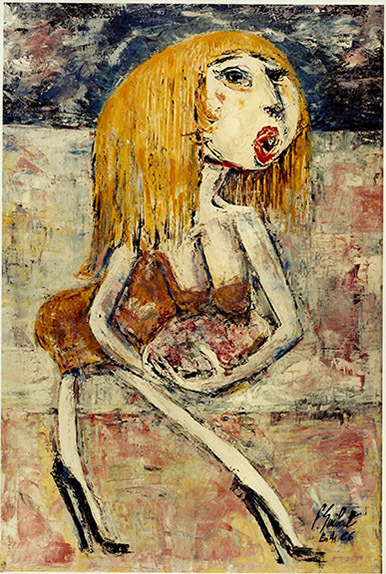 In the artistic context of Argentine art of the 1960s he was part of the New Figuration movement. As a writer he published La Torre de Babel, 1939; Poeta presente, 1948; Poeta al pie de Buenos Aires, 1953 (Faja de Honor de la SADE); Cosmos Buenos Aires, 1958; Tango, 1962. “Poeta al Pie de Buenos Aires“, is a major poem celebrated in Argentina. Posthumously the Fundación Argentina para la Poesía awarded him the Grand Prix of Honor in 1984 and the Argentina Society of Writers (SADE) the silver pen. 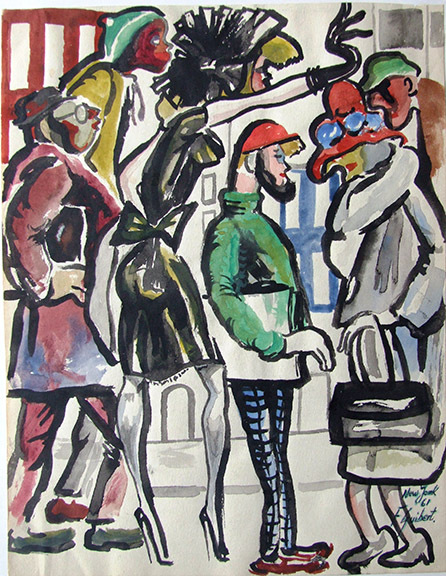 He had numerous art exhibitions at home and abroad, including a large show featuring his drawings and Tango characters in Washington, DC. 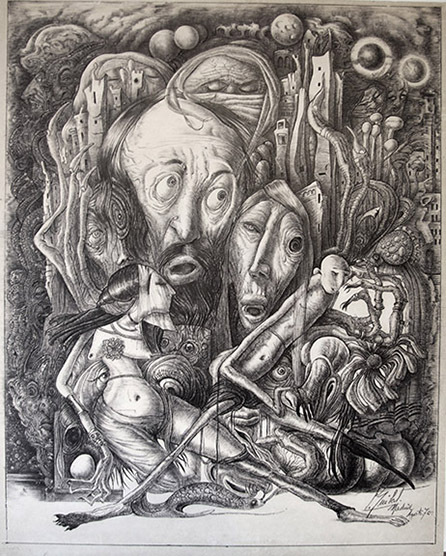 One of his drawings is in the permanent collection of the Art Institute of Chicago. Fernando Guibert. El Gallo, 1966. Oil on canvas. 23 5/8 x 35 7/16 in (60 x 90 cm). Fernando Guibert. Milonguita, 1966. Oil on canvas, 60 x 90 cm. Fernando Guibert. 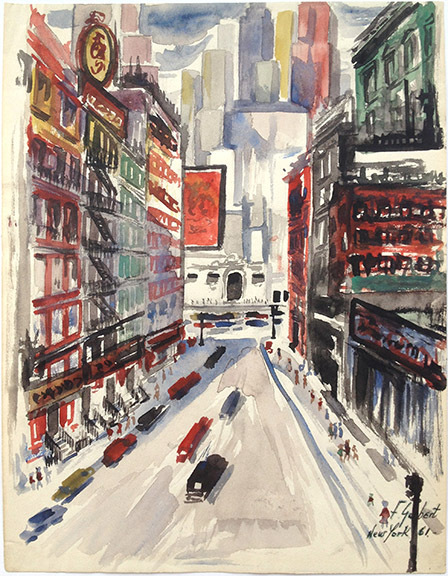 New York Notebook Series, 1961. Watercolour on paper. 11 13/16 x 9 1/16 in (30 x 23 cm). Fernando Guibert. Homage to Oliverio Girondo, 1970. Pen on paper mounted cardboard. 19 11/16 x 15 3/8 in (50 x 39 cm). Fernando Guibert. 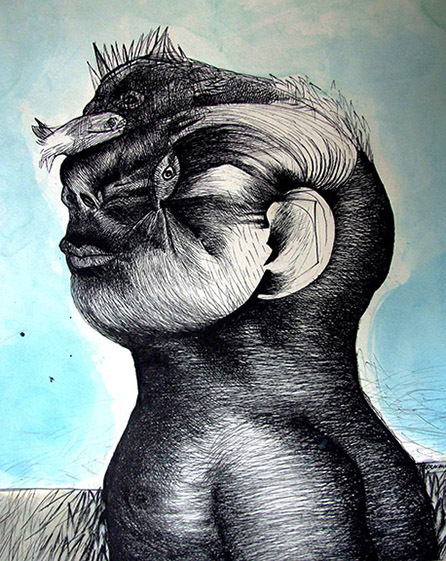 Toro Picasso, 1971. Pen on paper mounted cardboard. 26 3/4 x 19 5/16 in (68 x 49 cm). Fernando D Guibert was born in Buenos Aires, Argentina in 1957. Following in his father’s footsteps, he earned degrees in both Fine Art, and Modern and Contemporary Art in Buenos Aires, before arriving in London in 1989. Since then he has lived and worked in London as an artist and lecturer in the History of Art, painting and etching. His most recent shows were at the Instituto Cervantes in London and Kellie Miller Gallery in Brighton, 2016. His work also encompasses several large mural commissions and . 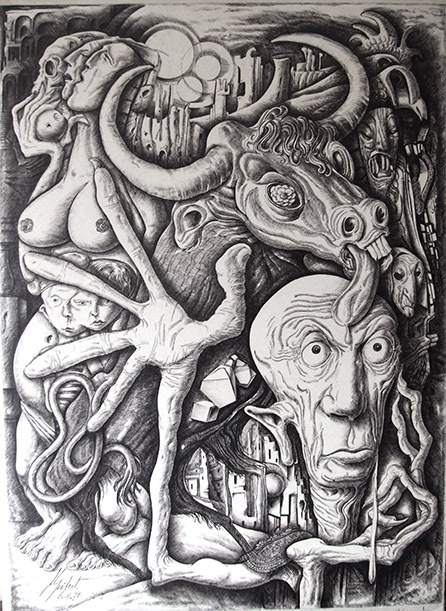 Guibert’s works are present in various collections, including the University of Paris Sorbonne INHA, Institut National d’Histoire de l’Art , the University of Essex Collection of Latin American Art (ESCALA) and the Warburg Institute, University of London. He is currently working on a large project to illustrate Dante’s Divine Comedy. Fantasy is a core source of inspiration for his work. 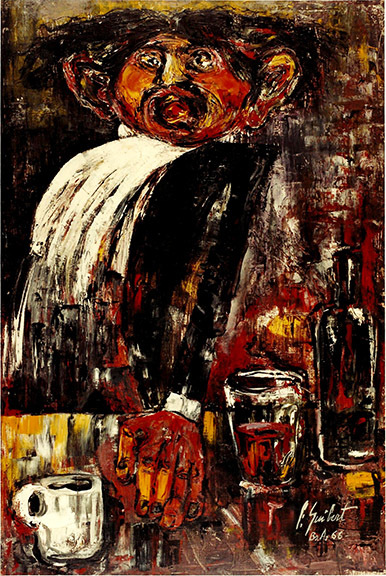 His pieces are often arranged in series with multiple variations on a specific theme, as an exploration of imageries as well as artistic languages. Fernando D Guibert. 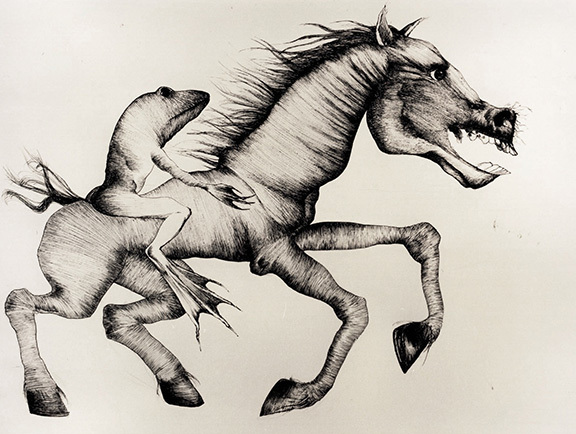 Frog and horse, 1987. India ink on paper. 26 x 18 7/8 in (66 x 48 cm). Fernando D Guibert. 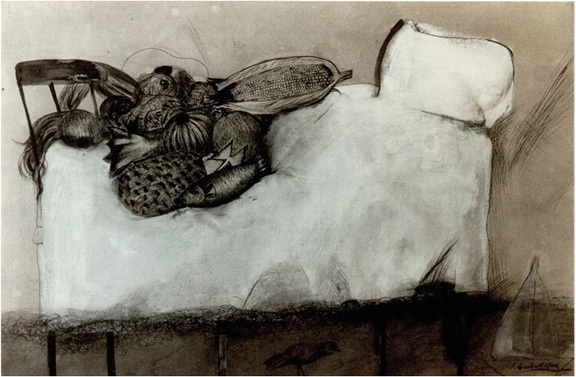 Bed I, 1990. India ink and gouache on paper. 39 3/8 x 27 9/16 in (100 x 70 cm). Fernando D Guibert. Night, 2010. 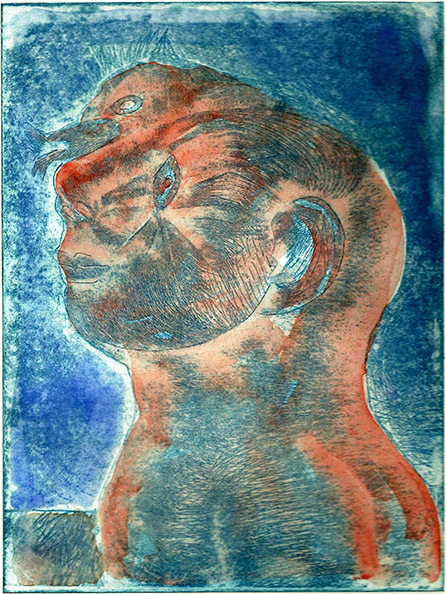 Etching and aquatint (II state). Plate size: 19,8 x 14,7 cm. Fernando D Guibert. Narcissus, 2011. India ink and watercolour on paper. 20 1/2 x 16 9/16 in (52 x 42 cm). Fernando D Guibert. Narcissus, 2012/13. Etching and aquatint (II state). Hand painted with watercolour. Plate size: 9 13/16 x 7 1/2 in (25 x 19 cm). Fernando D Guibert. Mandrill and man, 2012. India ink and watercolour on paper. 23 5/8 x 16 9/16 in (60 x 42 cm). Fernando D Guibert. 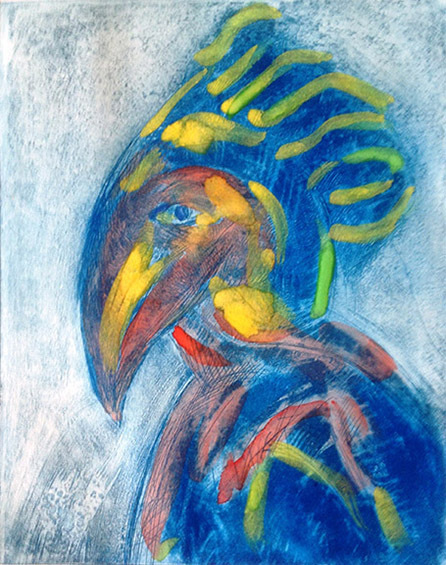 Bird, 2013. 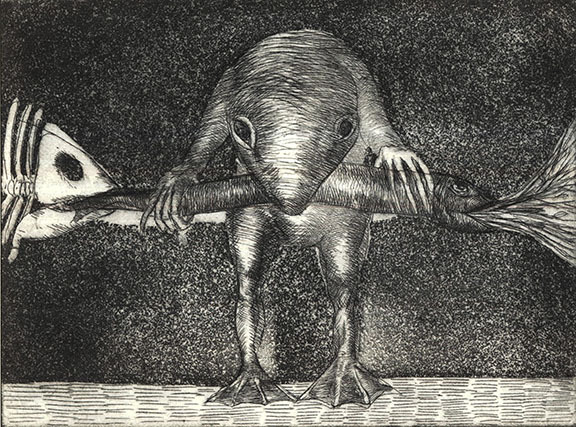 Etching and aquatint (III state). Hand painted with watercolor. Plate size: 9 13/16 x 7 1/2 in (25 x 19 cm). Images courtesy Fernando D Guibert.